Most thinking people have accurately labeled Hitler and Stalin as murderous evil thugs. Unfortunately the thinking population has been slow to throw THE ABORTION INDUSTRY in with the batch. It is responsible for the deaths of countless millions. Hitler we can blame for 6-7 million deaths, Stalin 3-4 million but Abortion Inc. blows them all out of the water. In America alone there are 1.2 million surgical abortions each year. That isn't even including the countless more abortions caused by the pill and other so-called contraceptives. And a committed abortion advocate issued perhaps the most effective argument for the pro-life side. A member of the British Medical Association's ethics committee laid bare the real truth about abortion and its ultimate end when he said it should be OK to kill babies after they are born if they have "defects." John Harris, who has authored 15 books on the ethics of genetics, is certainly an authority on human life and when it begins. And on that question he oddly offers further evidence the pro-life side is right. Harris endorsed infanticide in cases where the baby has a genetic disorder that went undetected during the pregnancy. This is a chilling statement, which should frighten anyone who cares anything about the value of human life. But Harris has much more to opine about the ethics of killing "defective" babies in and out of the womb. Harris also suggested there is no difference between aborting an unborn baby and killing it once it is born. It is not plausible to think that there is any moral change that occurs during the journey down the birth canal." This is the same argument pro-lifers use on a daily basis while debating pro-choice advocates. The baby is not magically transformed from a blob of tissue into a baby during birth. 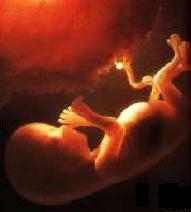 Rather every bit of medical evidence as well as common sense shows us each human life begins at conception. Harris continued to expose the lies of abortion supporters with these comments. People who think there is a difference between infanticide and late-term abortion have to ask the question: What has happened to the fetus in the time it takes to pass down the birth canal and into the world which changes its moral status? I don't think anything has happened in that time." Professor Harris is quite right here. What he has said is abortion and infanticide is the same thing. Both start with living babies and end with dead babies. Of course Harris, while he is brutally honest about just how depraved the pro-abortion side is, is also as depraved as they are. Remember he is issuing these statements in support of killing undesirable infants. Harris continues to paint a very clear image of the truth of abortion. There is a very widespread and accepted practice of infanticide in most countries. We ought to be much more upfront about the ethics of all this and ask ourselves the serious question: What do we really think the difference is between newborns and fetuses? 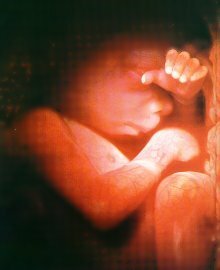 There is no obvious reason why one should think differently, from an ethical point of view, about a fetus when it is outside the womb rather than when it is inside the womb. Again if every self-proclaimed pro-choice advocate honestly answered these questions abortion would have almost no support anywhere in the civilized world. The comments made by Harris are terrifying and sobering. His statements expose the very dark and very real nature of abortion and where it will lead us if we allow it too. As Harris says there is no difference between a born and unborn fetus, it is a living human being. Supporters of abortion have been living in denial for decades now trying to deny this truth. They are not supporting choice, or freedom, or women. They are simply supporting selective killing. And if we can as a society, legally kill unborn children, what will prevent us from killing off any group that comes to be considered "defective"? The words Harris spoke might make you sick but take them to heart because he speaks a truth we must hear, or we will allow vermin like him devalue life to a point where being labeled "defective" is a death sentence for anyone unfortunate enough to be tagged with it. Malthus was a demographer who lived during the late 1700's. He predicted that the world would one day overpopulate itself and vast starvation would occur because of this. Western Governments, communists, and the hidden "elite" jumped on the bandwagon and began warning of this pending population explosion. This is one of the false arguments used to justify the worldwide abortion industry to this very day. One fact you can check out for yourself is that the world could support 600 billion. If everyone in the world was put into the state of Texas and divided into families of five each family would have a 6500 square foot home. And finally only half the land in the world suitable for agricultural use is currently being used. Most of the wars, poverty, and starvation you see on T.V. are not because of excessive population. It's related to one religious or ethnic group hating one another, the ignorance of the people, and the corruption, manipulation and wickedness of their "leaders". This is the dark truth of the plan behind abortion. Whether a "pro-life" conservative, or a "liberal" Democrat gets elected makes no difference. Abortions continue because there is a hidden motive behind it. At it's root, it is pure evil. It seeks out the most defenseless among us, and mercilessly kills them. If you wonder why America is now experiencing more chaos, and seeing disasters like September 11, 2001, where before we were somewhat protected, look no further than the decline of America's values. And the mass genocide of abortion is a perfect example of that. And unless American's change the road they're on, the chaos will grow, and we will have an even greater price to pay.